The politician Giorgio Amendola, who opposed extremism on the right and left in Italy, was born on this day in 1907 in Rome. Amendola was arrested for plotting against the Fascist regime of Benito Mussolini in the 1930s, fought with the Italian resistance in the Second World War and later worked to move the Italian Communist Party (PCI) away from the doctrines of Soviet Communism and Leninism towards a more moderate position acceptable in the mainstream of Italian politics. Amendola was almost born to be a political thinker. His mother, Eva Kuhn, was an intellectual from Lithuania, his father Giovanni a liberal anti-Fascist who was a minister in the last democratically elected Italian government before Mussolini. It was as a reaction to his father’s death in 1926, following injuries inflicted on him by Fascist thugs who tracked him down in France on Mussolini’s orders, that Amendola secretly joined the PCI and began to work for the downfall of the dictator. He was largely based in France and Germany but from time to time returned to Italy undercover in order to meet other left-wing figures. It was on one visit in 1932 that he was arrested in Milan. After a few months in jail he was freed under a supposed amnesty but then detained again and sentenced to confinement on Santo Stefano island in the Pontine archipelago, which Mussolini used for political prisoners. After leading protests by inmates against the requirement that they greet visiting politicians with the Fascist ‘Roman salute’ he was exiled to France and later Tunisia. Amendola was not freed until 1943, at which point he returned to Rome to join in the Italian partisans in helping to liberate the city. He was a PCI representative in the Central Committee of National Liberation and as the commander of a so-called “Garibaldini" corps - named after the volunteers who fought with Giuseppe Garibaldi in the unification of Italy in the 19th century - he reached Milan in 1944, helping with the work of partisan group in parts of northern Italy still under German occupation. 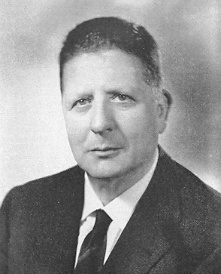 After the war, Amendola served as a deputy for the PCI from 1948 until his death in 1980. 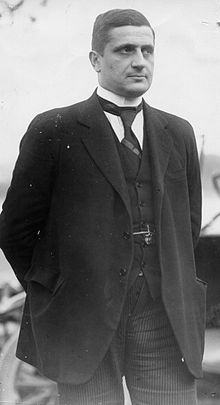 A minister in the postwar governments of Ferruccio Parri and Alcide De Gaspari, he adopted a position on the right-wing of the party, opposing the extremism of the left as fiercely as he had fought against the extremism of Mussolini’s followers. It was Amendola’s goal to shift the party away from the ideology of the Russian Communists towards a position where meaningful alliances could be formed with more moderate left-wing groups, such as the Italian Socialist Party (PSI). 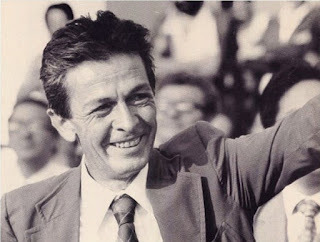 His attempts to reposition the PCI was in part responsible for the emergence of the concept of Eurocommunism that gained popularity as the philosophy embraced by Italy’s most successful communist politician, the long-time PCI leader Enrico Berlinguer. Amendola turned his political philosophy into several books, including Comunismo, antifascismo e Resistenza (Communism, Anti-Fascism and Resistance, 1967), Lettere a Milano (Letters to Milan, 1973), Intervista sull'antifascismo (Interview on Anti-Fascism, 1976, with Piero Melograni), Una scelta di vita (A choice of Life, 1978), and Un'isola (An Island, 1980), which was a biographical work about his time on Santo Stefano. Amendola died in Rome, aged 72, after a long illness. His wife Germaine Lecocq, whom he met during his French exile in Paris and who helped him to write his last work, passed away only a few hours later. Santo Stefano is an island in the Tyrrhenian Sea off the west coast of Italy, part of the Pontine Islands. The prison built by the Bourbons in 1797 remained in use until 1965. It was one of the prisons used extensively by the Fascists to imprison opponents of Benito Mussolini’s regime. The future president of the republic, Sandro Pertini, was incarcerated there. These days, the island is uninhabited except for the tourists who visit each day. 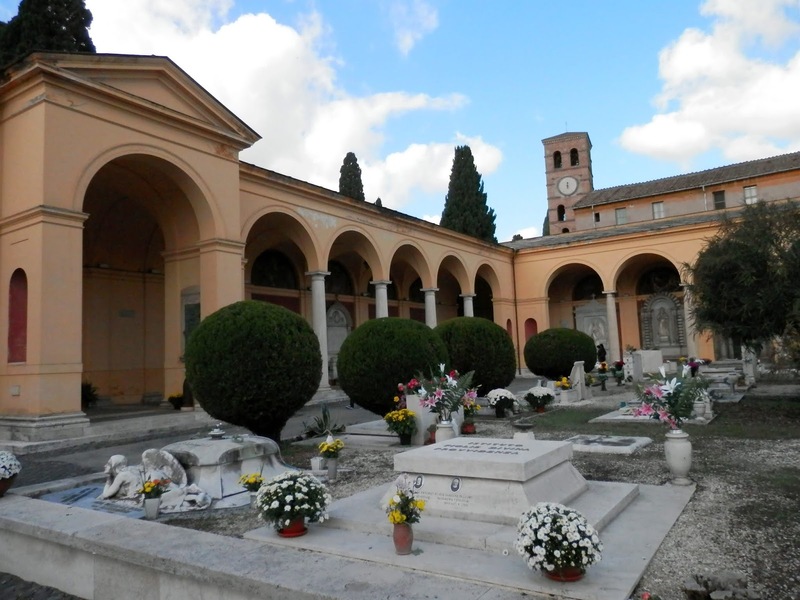 Giorgio Amendola was buried in the Campo Verano cemetery in Rome, close to the Basilica of San Lorenzo al Verano in the Tiburtino quarter of the city, not far from the Sapienza University of Rome. The cemetery, built on the site of ancient Roman catacombs, is also the last resting place among others of the novelist Alberto Moravia, the actor Marcello Mastroianni, the racing driver Elio de Angelis, and Clara Petacci, who was the mistress of the Fascist leader Benito Mussolini.